Porsha Williams and NeNe Leakes Battle On Season 11 'RHOA' Reunion! Part two of the Real Housewives of Atlanta season 11 reunion aired Sunday night and it was far from dramatic and quite frankly should have been the conclusion to the reunion. The reunion opens with Porsha Williams and Kandi Burruss rehashing the drama that went down at Todd Tucker’s birthday party. Porsha calls out Kandi for inviting Dennis’ ex-girlfriend to the party for the sole purpose of creating conflict with Porsha and orchestrating a set up. Kandi denies the accusation and accuses Porsha of drinking while being one month pregnant at the party. Porsha scoffs at the shady claim and apologizes to NeNe for throwing her under the bus by revealing NeNe brought gossip back to her from Kandi. Gregg Leakes joined the reunion stage to confront some serious issues plaguing his marriage with his wife, NeNe Leakes. The couple revealed they are still not in a good place after a season of contention. They are still sleeping in separate rooms in their home while undergoing marriage counseling with Dr. Jeffrey Gardere. The couple explained that there are a combination of things affecting their marriage — specifically, Gregg’s negative attitude during his battle with stage 3 colon cancer. Sadly, when host Andy Cohen asked if they hope to save their marriage, Gregg responded that he does, but NeNe said wasn’t certain. They move on from the heavy discussion to welcome Marlo Hampton and newbie, Tanya Sam, to the stage. Flashbacks are played of Marlo and Tanya’s time on the show. Andy Cohen asks about Tanya’s comments in the press about NeNe. “Because I bought it in Morocco,” Eva sassily fired back. “Ohhh, but it’s a Zara shoe,” Shamari replied, “so I got you a gift card to Zara.” Shamari then pulled a $70 Zara gift card out from under a couch cushion and handed it to Eva. We are dead. Marlo’s reminds Shamari that she has a drinking problem. Shamari claims she doesn’t — and the other women seemingly back Shamari. “Tell me something about shopping or gold digging, then I’ll listen!” Shamari shouted. Next, Porsha and NeNe get into a heated back and forth after flashbacks are shown of their intense drama during the season. “Now I don’t give a damn [about being late],” Porsha said after she and Marlo Hampton. were hours late to NeNe’s bash. “Really b**ch? I’m so sorry. You know I love you, you’re my sister. I mean that from the heart,” she told Marlo, but she didn’t apologize to Porsha. “I would love to sit here and be as nonchalant and not give a f**k as NeNe right now, but the fact of the matter is, when we found out [about Gregg’s cancer] we were there for you and we prayed for your husband. You don’t know how to accept the support from your husband!” said an emotional Porsha. Next on the agenda is NeNe’s infamous closet fight. Host, Andy Coehn, asked how Porsha’s belt came undone, NeNe was over the whole ordeal and went off. “I’m not going to beat this thing, ok? It was a breakdown, ok? I don’t feel like I need to sit up here and say I had a breakdown. You saw me have a breakdown. I don’t have to be sorry for having a breakdown. I am human. I had a natural breakdown. Don’t keep bantering back and forth about it ok. Do not keep pushing me over it. Ok?” she said. Next week on the dramatic conclusion of The Real Housewives of Atlanta season 11 reunion — the “Bye Wig” party saga continues and Marlo is accused of adding fuel to the fallout. 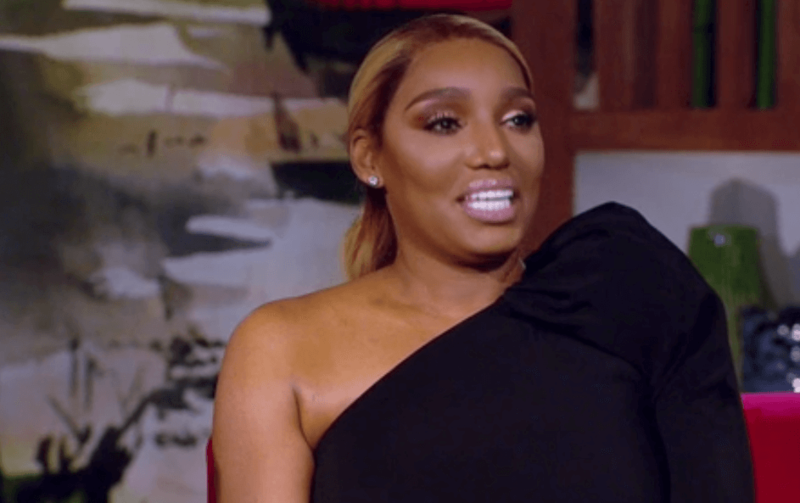 And tensions rise when NeNe Leakes and Cynthia Bailey go head-to-head. Part three airs Sunday, April 21, on Bravo, at 8:00 p.m. ET.